Dr. Bing Yang (top left) and Dr. Keith Slotkin (bottom right). Dr. Keith Slotkin joins as an Associate Member and Principle Investigator at the Danforth Center and an Associate Professor in the Division of Biological Sciences at MU. He is located at the Danforth Center in Creve Coeur, MO. Dr. Slotkin was previously at the Ohio State University. 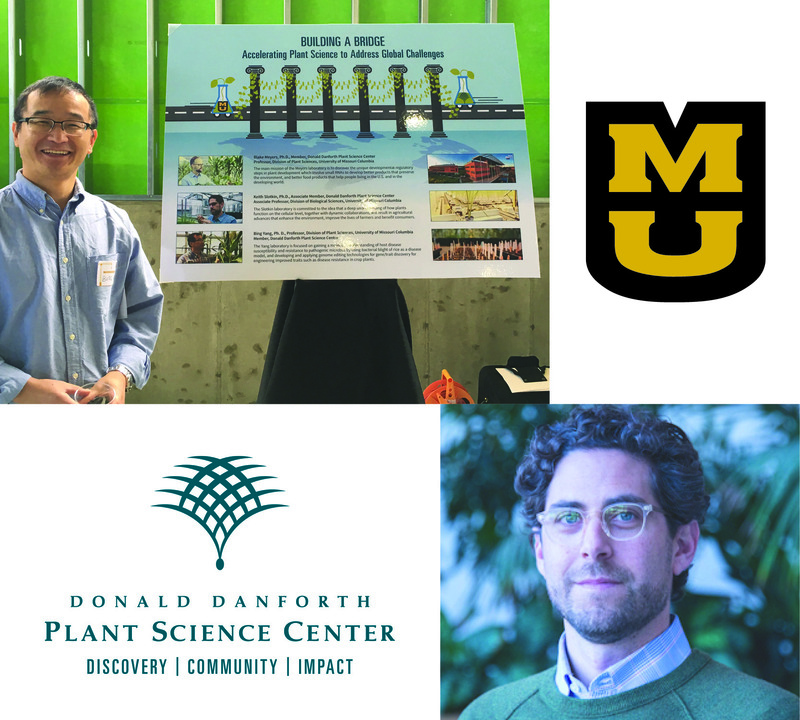 Dr. Bing Yang holds the position of Professor in the Division of Plant Sciences and Member and Principle Investigator at the Danforth Center. He is located at the University of Missouri in Columbia, MO. Dr. Yang was previously at Iowa State University. These two new faculty members join Dr. Blake Meyers, hired in January 2016, to build on existing strengths at both intuitions and provide greater opportunity for collaborations between the two institutions.